We pioneer academic research for elucidating the origins of the universe and the roots of substance and life using cutting-edge light/quantum measurement technologies, such as large accelerators. Regarding light/quantum measurement, the TIA’s five core organizations have combined their advanced light/quantum measurement technologies, with the aim of creating new science and industry. 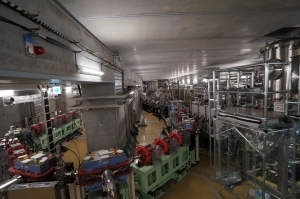 The platform aims at conducting the following: development of high-performance light/quantum beam generation technologies; development of high-sensitivity, high-precision, and high-resolution light/quantum detectors and advanced measurement technologies; and research on the origins of material functions and fundamental development of new functional materials using newly developed light/quantum measurement technologies. We promote fundamental physical property research on the origins of material functions through application of light/quantum beams. By directly linking research laboratories that use light/quantum beams and those that develop materials, fundamental research and development has accelerated in the field of structural materials, electronic materials, and environment and energy materials, where new world-leading materials are expected to emerge. 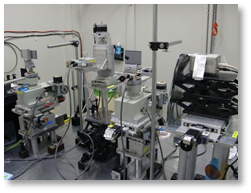 The development of a light/quantum beam source, which is compact, lightweight, and portable, is conducted in research and industrial settings. 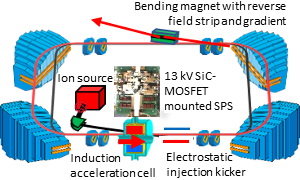 The aim is to create accelerators that show higher performance and are compact and energy-saving overall, by, among others, transferring the technology for development of large accelerators and adopting SiC power semiconductors. 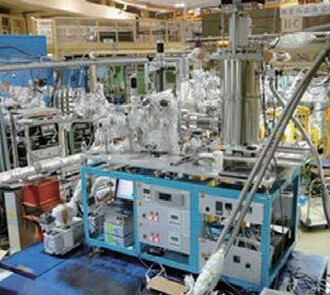 New tools were created for research and industrial settings, and the use of light/quantum beam sources, such as X-ray, neutron, and muon sources with compact accelerators, is expanding. We developed new high-sensitivity and high-resolution detectors, such as superconductive and silicon-on-insulator (SOI) detectors. Innovation in measurement and diagnostic technologies in diverse fields has advanced. Such fields range from fundamental physics research and medical research, to infrastructure diagnosis, wherein cosmic rays, radiation, and quantum beams generated by accelerators are employed. Applied research, such as the application of cosmic microwave background radiation observation technology to meteorology and agriculture, has also been promoted in many fields.